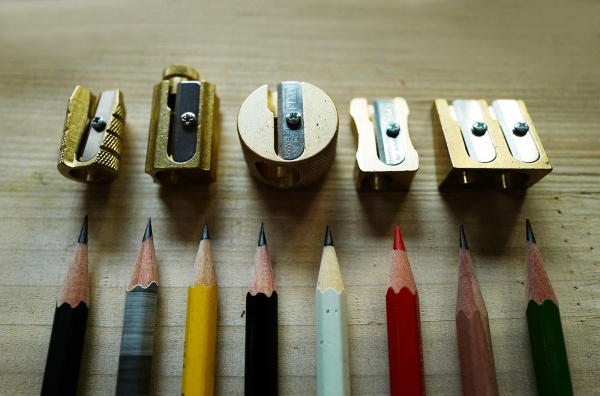 Pencil sharpener made of brass, wedged design, double hole. 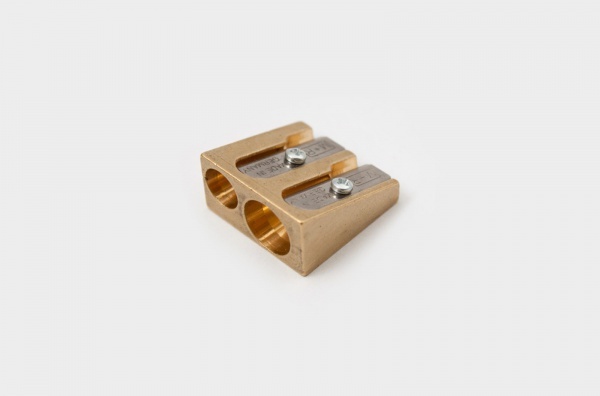 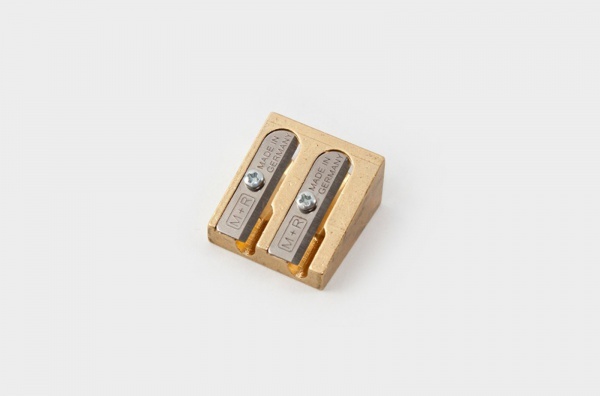 This brass dual sharpener is for both standard and jumbo sizes of pencils. 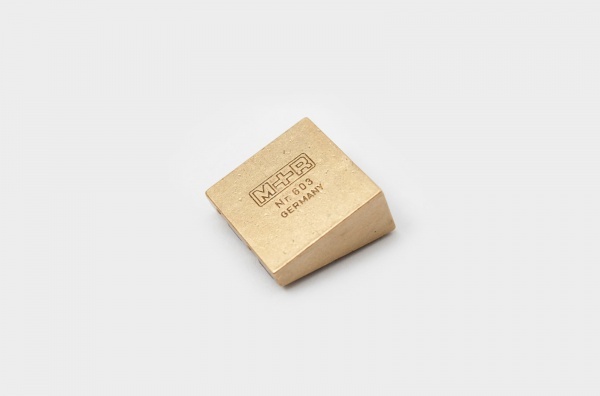 Copper has the uniqueness of color changing through time, and it differs from the variation of users and environments. 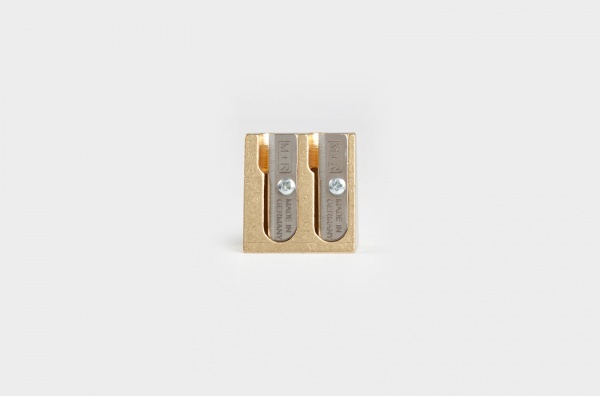 The oxides from copper are non toxic, and can be clean with copper oil to regain the shine.